The good news first. If the new wage code Bill approved by the Cabinet on Wednesday is passed in its entirety by Parliament, it will certainly benefit an estimated 4 crore employees in the country across all sectors. According to labour law experts, until now, only the wages of workers in the central sphere was being decided by the central government while that in the state sphere by different states. Consequently, there was no uniformity. There was no proper methodology to arrive at the wages of unskilled workers across sectors factoring in the changes in cost of living. What the new wage code Bill primarily does is to empower the Centre to set a higher minimum wage that is uniform for all employees across all sectors in the country. States will be bound to maintain the threshold decided by the Centre. Hopefully, this will work in a more scientific manner considering all parameters concerning this segment. Technically, the new code roll is four different Acts rolled into one -- the Minimum Wages Act, 1948; the Payment of Wages Act, 1936; the Payment of Bonus Act, 1965; and the Equal Remuneration Act, 1976. Traditionally, the wage conditions of unskilled workers who are outside the central sphere are pathetic. Hence this Bill comes as good news to them. It is not clear whether the new wage code will benefit contract workers as well besides employees who are on the rolls. 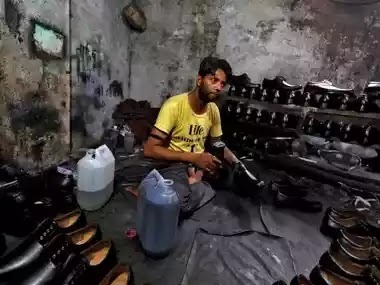 Ideally it should, said Anshul Prakash, Partner at Khaitan & Co. “A worker may be on rolls or on contract, but if the minimum wage rule is properly implemented, the employer will have to treat the contract labourer at par with regular employee,” said Prakash. According to government data, as on 31 March 2015, the number of contract workers engaged in the central sphere was 19,03,170 while the figure for contract workers working in the state sphere was not centrally maintained. The contract workers are governed by the Contract Labour (Regulation & Abolition) Act, 1970 that covers only those establishments and contractors that employ 20 or more workmen on any day of the preceding 12 months. The new Bill will benefit not just those earning less than Rs 18,000 but all category of workers. Right now, the minimum wage rules are applied to only those who earn less than Rs 18,000 both at central and state spheres. Hence, the workers across states and sectors should be happy about the new wage code. But, they should be prepared for potential bad news too. For one, majority of Indian companies are smaller in size with less than 50 employees. As this Financial Express report highlights, the latest Economic Survey had some figures on this. Going by it, about 78 percent of Indian firms employ under 50 workers and just 10 percent employ more than 500 — the comparable figures for China are 15 percent and 28 percent. The smaller companies falling under the employee-threshold operate in different states and varying business environments, may not be in a position to comply with the minimum wage rules, particularly those in economically backward states like North East region. These firms are already struggling on account of a prolonged slowdown in the economy, demonetisation-induced cash crunch and the short-term pain of migrating to the Goods and Services Tax (GST) regime. Industries may also face severe financial difficulties that will force them to take drastic steps. “If these firms are pushed to the corner on the minimum wage issue, they may simply go for large-scale staff layoffs and automation,” cautioned Prakash of Khaitan & Co.
Secondly, implementation of the minimum wage rule across sectors and states will be a tricky challenge. Labour is a subject in the concurrent list and states take into account different parameters while deciding the wage structure of workers. There is a possibility that some state governments may raise objections. Since more number of states are now ruled by the BJP or parties with whom it has bargaining power, states’ resistance may not be a big issue. But ensuring that all companies across sectors follow the minimum wage rules will be a herculean task, even with the deployment of wage inspectors. We don’t have the machinery as of now to do this. The infrastructure for implementation of the rule needs to be created to ensure that employees get the benefit of the new wage code. Asking companies to make all payments directly to beneficiary bank accounts could help. This time, the Modi government may not have any issues with the trade unions on this since the unions will be more than happy to see a centralised minimum wage structure taking shape. Looking at the larger picture, the new wage code is one part of the reforms needed to modernize the archaic labour laws in India, and hence a step in the right direction. To make the new wage code a reality, the Modi government will have to, a) generate political consensus; b) work on creating an infrastructure to ensure implementation; and c) talk to state governments about the nuances of the new wage structure. It is a long process. Until then, the four crore employees will have to keep their fingers crossed.